Without costumes and makeup Michael Griffiths takes you on a journey of two amazing and powerful singers who helped to shape the 'pop' music scene. One man with a piano and a couple of props weaves a rich musical tapestry of Annie Lennox and Madonna. Annie's story was first and we were given an insight into her tortured romantic life via her poetic lyrics. Michael is a skilled performer with a beautiful voice and great musicality. Some songs are built up gradually, others are interrupted with explanations and anecdotes. Audience participation was encouraged with a sing along to 'Thorn In My Side'. After interval the mood was lighter and cruder as Michael 'became' the most famous b**ch in the world. Her many dalliances were alluded to as was her strong sense of purpose and ambition. Lady Gaga and digital music came in for a serve as did Madonna's cinema career. The crude language and adult themes of the show is necessary to describe the lives of these divas, after all Madonna prides herself on making controversial statements. 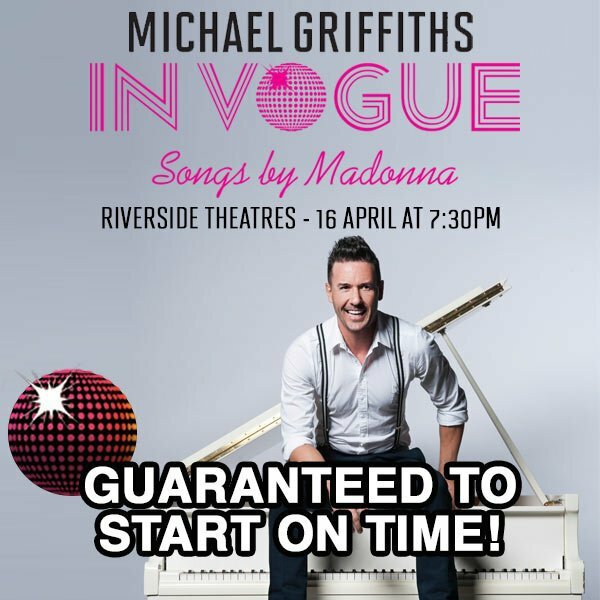 Michael Griffiths is from Adelaide but has performed in Jersey Boys, Priscilla Queen of the Dessert, Shout as well as in various international cabaret & comedy festivals. After seeing his performance I am keen to revisit the music of Annie Lennox whilst anticipating his return to Sydney. Why? To have a good time whilst learning about the motivations of two divas of pop. Cost: Various prices under $50.